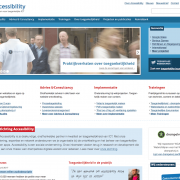 They are involved in the development of international standards on digital accessibility. 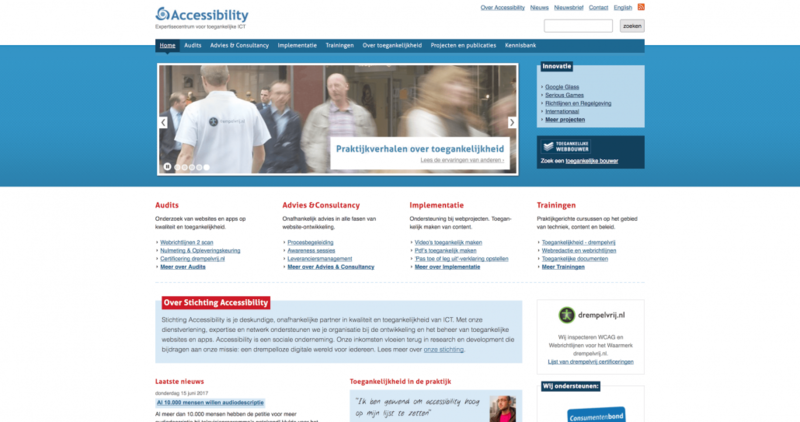 Accessibility Foundation works for large organizations like the Dutch Government, banking and insurance industry, online retail companies, public transport organizations and many others. Headquartered in Saarbrücken, Germany, RealObjects provides W3C standard-compliant, cross-platform software tools for electronic publishing, content authoring and web-to-print. The company ranks as a pioneering developer of easy-to-use, affordable and quick-to-deploy online HTML editor solutions, which enable content authoring in web- and Java-based applications. The latest Nimbudocs Editor is the perfect editing component for cloud and web applications. It provides real-time collaborative WYSIWYG editing functionality with PDF preview & export and easily turns cloud or web applications into live document services. As a professional online document editor it is a perfect fit for web-to-print solutions and seamlessly integrates with a wide range of workflows and production platforms. RealObjects’ W3C standards-based publishing solution PDFreactor is another industry-recognized flagship product, which is used for server-side conversion of HTML to PDF whenever electronic and typeset-quality print output of business content is required. It is the perfect printing component for web applications, incl. database publishing, web-to-print, PIM, DMS, MDM, WCMS, VDP etc. All current RealObjects products emerged from Project MARTHA, an integrated application frame-work that enables enterprise developers to create powerful HTML and XML editing as well as rendering applications in pure Java. Founded in May 2000, the privately held and self-funded software company has about 3000 corporate customers in over 40 countries, ranging from small businesses to Fortune 500 enterprises, educational institutions as well as government and non-profit organizations. A network of strategic business alliances, resellers and OEM partners or customers has been established over the years.